In an era where introducing oneself as a blogger, especially a food blogger either causes eyes to brighten or roll and look upwards, I salute all the bloggers out there who put in so much passion, dedication and effort to maintaining their blogs amidst their busy life schedules. Be it the design (even those who have little or no coding knowledge), content, and more importantly, marketing, blogs are prized possessions of many. Even more commendable is the sharing of knowledge and expertise among them to help others out in tricky situations too. 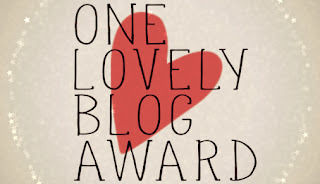 One such inspiring co-blogger, Preethi Prasad who blogs at https://preethicuisine.com nominated me for the 'One Lovely Blog Award'. I would like to thank her and all other bloggers out there who inspire me day in and day out, especially on days when I am almost ready to throw in the proverbial towel!! Preethi, is an all-rounder in my opinion, juggles...no, successfully multi-tasks between her family, career, cooking, blogging and social media as well..
3. Display the award image on your header/footer/sidebar. 5. 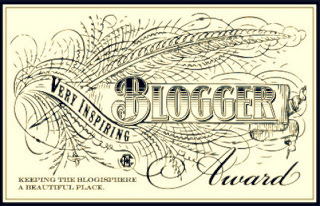 Nominate (up to) 15 bloggers for this award and them know you have nominated them. 1. I am a full-time foodie and part-time blogger, not much of a recipe follower, I usually like to build up on ingredients using recipes as guidelines. 3. I love photography, the medium doesn't matter as long as I am able to capture the moment!! 7. I am tech-savvy and crazy about mobiles!! 2. https://naveensuresh3.wordpress.com/ - By Naveen Suresh, one of the admins of FBAB, a true-blue foodie if ever there was one! 3. http://www.cosmopolitancurrymania.com - By Purabi Naha, award-winning blogger, her photography & simple writing can actually make one smell the aroma of the food she talks about..
4. http://www.binjalsvegkitchen.com - By Binjal Pandya, her food-photography is a source of inspiration for many..
5. http://www.yummytummyaarthi.com - By Aarthi Satheesh, simple to follow recipes, her blog has been a saviour many a times when I have been stuck..
6. http://recipeforperfection.com - By Katie Moseman, an acquaintance via social media, her recipes and posts are eye-catching and she also gives back in that, she happily RTs posts that have her hashtag..
7. https://cookingatmayflower.blogspot.in - By Beena Stephy, I admire her easy to follow writing style, and her dedication to her passion of cooking..
8. http://sandhyahariharan.co.uk/ - By Sandhya Hariharan, another neat blog with a vast recipe repository and amazing photography. That's really sweet of you Krithika to include my blog ... All the very best and enjoy blogging.